Currently at the H1 chart of the EUR/USD currency pair we have “head & shoulders” reversal pattern forming with the target in the area of 1.3602. One can try to buy the pair with the tight stop below 1.3255, and consider increasing the amount of long positions only after the price breaks the neckline. 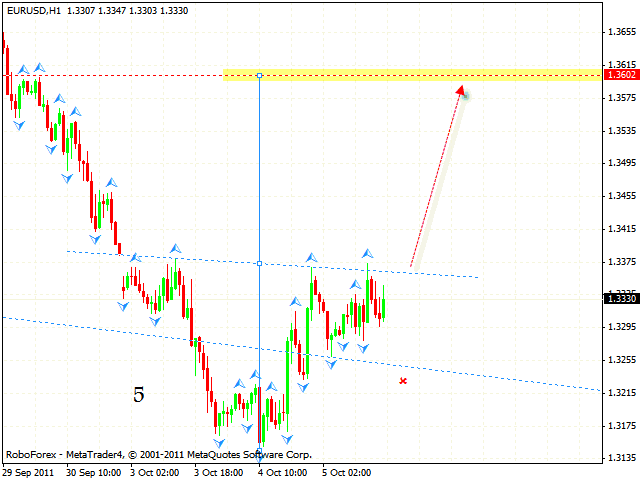 But if Euro falls lower than 1.3215, this case scenario will be cancelled. 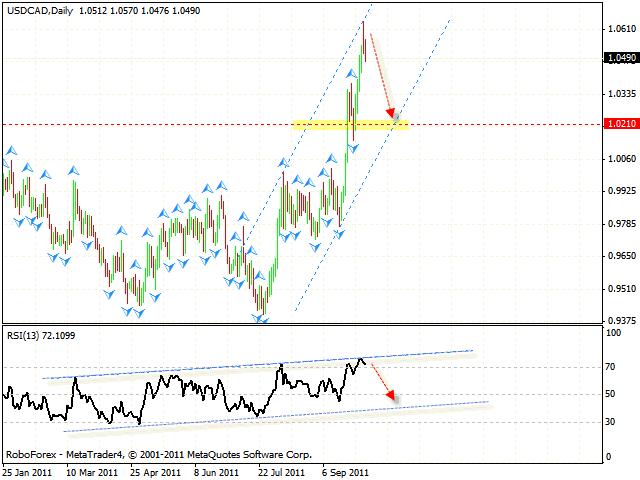 At the H4 chart of the USD/CHF currency pair we have “failure swing” reversal pattern forming at the RSI. We should expect the price to fall down to the level of 0.9160. 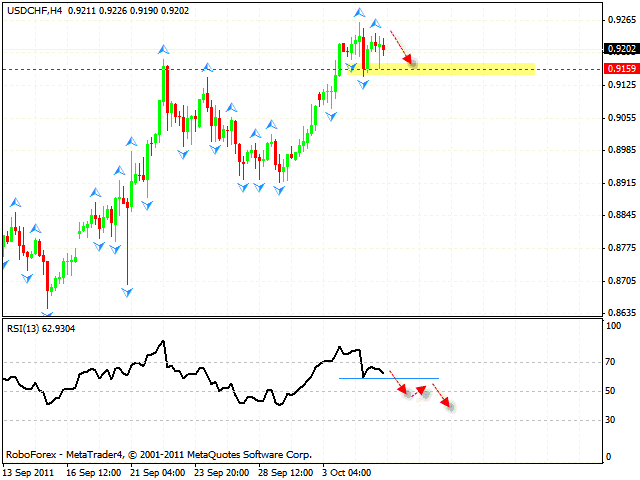 One can consider selling the pair with the tight stop above 0.9265. But if the price reaches new local maximums, this case scenario will be cancelled. 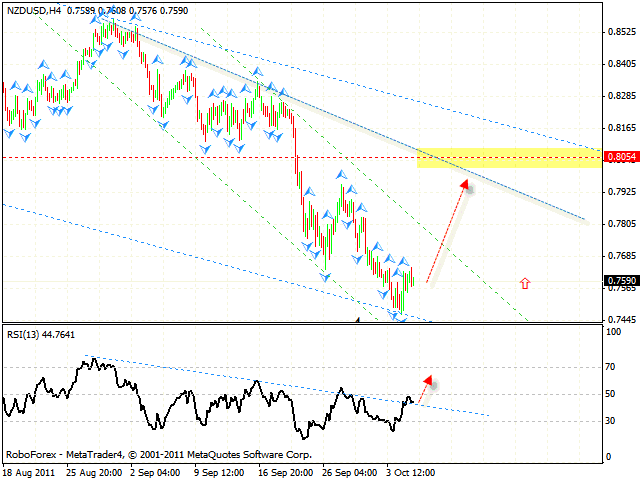 New Zealand Dollar keeps moving inside the descending channel. At the H4 chart we can see that the trend’s descending line at the RSI has been already broken, and we should expect the test of the similar line in the area of 0.7950 at the price chart. But if the pair falls lower than 0.7445, this case scenario will be cancelled. Canadian Dollar has reached the resistance level at the RSI, we should expect the pair to fall down to the channel’s lower border in the area of 1.0210, where one can consider buying the USD/CAD currency pair. Right now one can try to sell the pair with the tight stop. But if the price grows higher than 1.0600, this case scenario will be cancelled.